When searching for a decent notebook with good multimedia capabilities, it’s almost impossible not to stumble upon one of ASUS’ N series PCs. 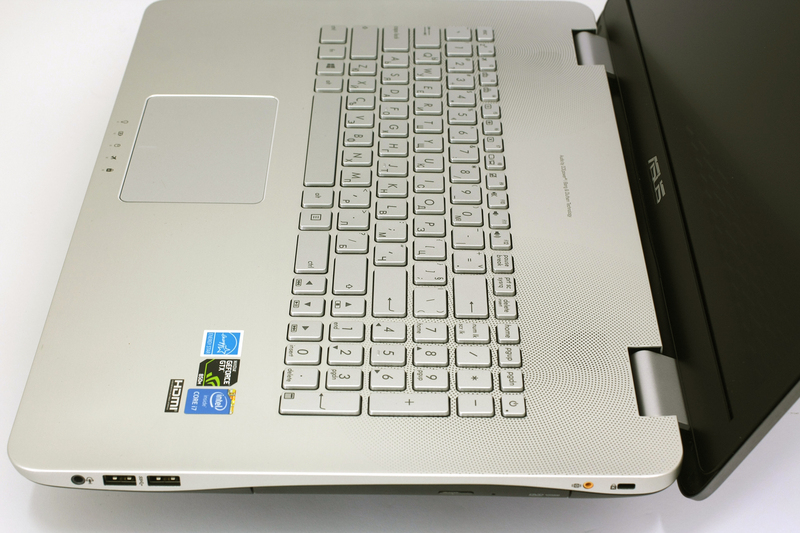 This review is all about one of the latest laptops from the Taiwanese company – ASUS N751J. This a sleek, powerful machine with big 17.3-inch Full HD screen and some other goods in the retail package. However, some of you may find this device big and heavy, but this is the price you pay for a bigger, more comfortable workstation. TN751J features a powerful quad-core Intel processor with high voltage for a better performance and a GTX 850M GPU from NVIDIA. Nothing you can’t find in any other laptop, but let’s see what this machine offers for the price. We were able to test screen’s capabilities, battery life, performance and of course – temperatures. Before we begin, we highly recommend watching a short video review by Georgi Dobrikov. 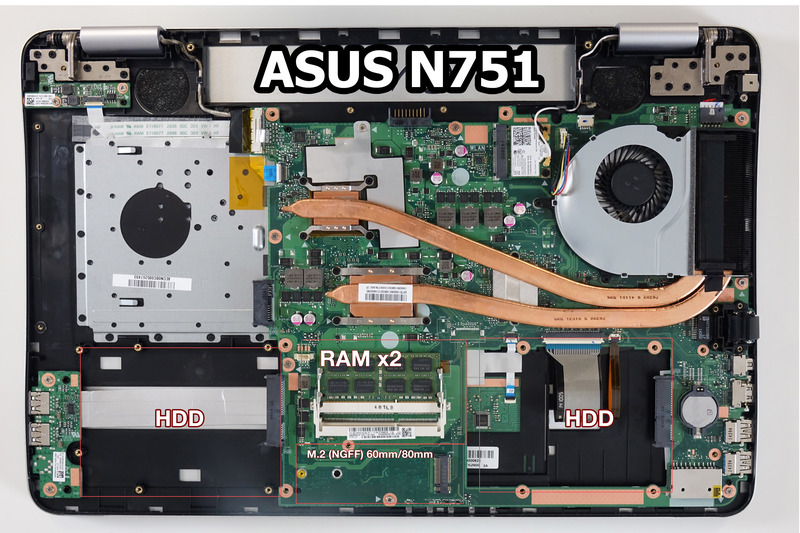 For a huge notebook, we have a big box with the N751J inside, user manual, CD full of drivers needed, although we recommend downloading them directly from ASUS’ website for the latests versions. Also, there’s a useful DVI to HDMI adapter, so you can use your old monitor for an external one since the device has only one HDMI port. Last but not least, ASUS puts an extra SonicMaster external subwoofer for any N series laptop for richer and fuller sound. Firstly, the notebook feels really sturdy in hand and despite the fact that it’s a bit bulky, the overall design is sleek and feels premium. 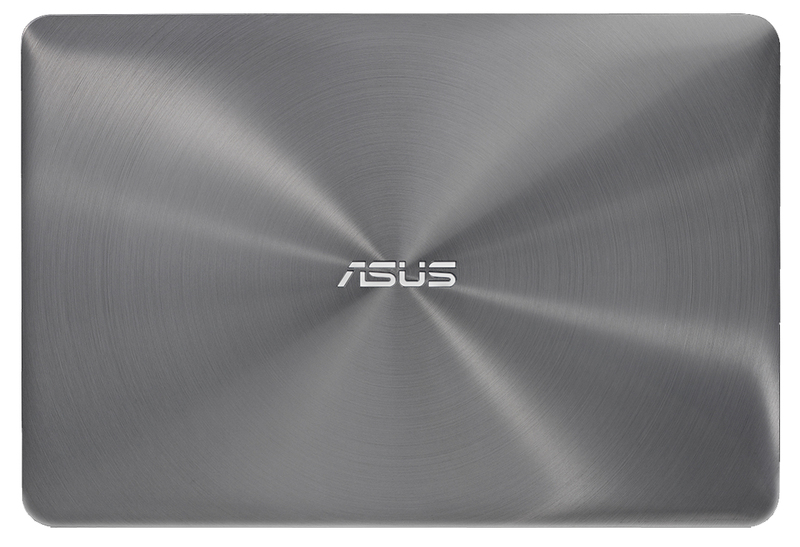 The back of the lid is brushed aluminum with a small ASUS logo in the center, which has a LED backlight and it actually looks great. On the other side of the lid, we find just the built-in microphone, the webcam and of course, another ASUS logo just below the 17.3-inch screen. The bottom of the N751JK is fully covered in plastic with a few silicone “legs” here and there to keep it firmly in place when working on a desk. Strangely, there is only one grill for dispensing the heat and it is placed right under the front end of the machine. We are happy to see that ASUS didn’t abandon the idea of using a small removable cover for upgrading or replacing hard drives and RAM. With this particular model, you can also upgrade with an additional m.2 SATA which is located right next to the main SATA III slot. It is easy and this way you are avoiding any problems with voiding the warranty. Also, the battery is easily removable and any user can take it off when needed. Moving on to the edges which are again sleek and feature the right amount of ports. 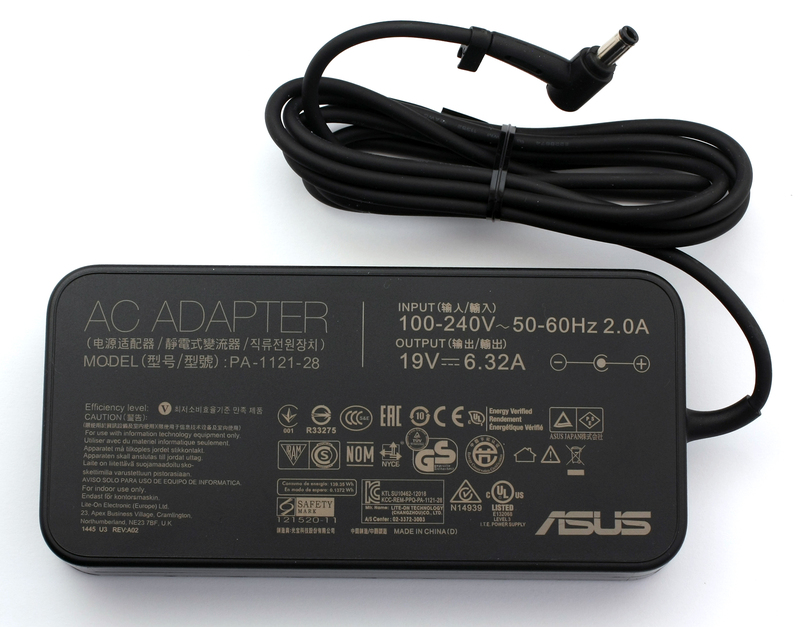 On the left, you will find the AC port for charging, LAN, mini DisplayPort, HDMI and two USB 3.0. On the other side are placed only two USB 3.0 ports and a 3.5 jack for headsets or headphones. Right in front of you, you will notice a few LED lights indicating battery level, airplane mode and etc. Now to the most exciting part – the interior. 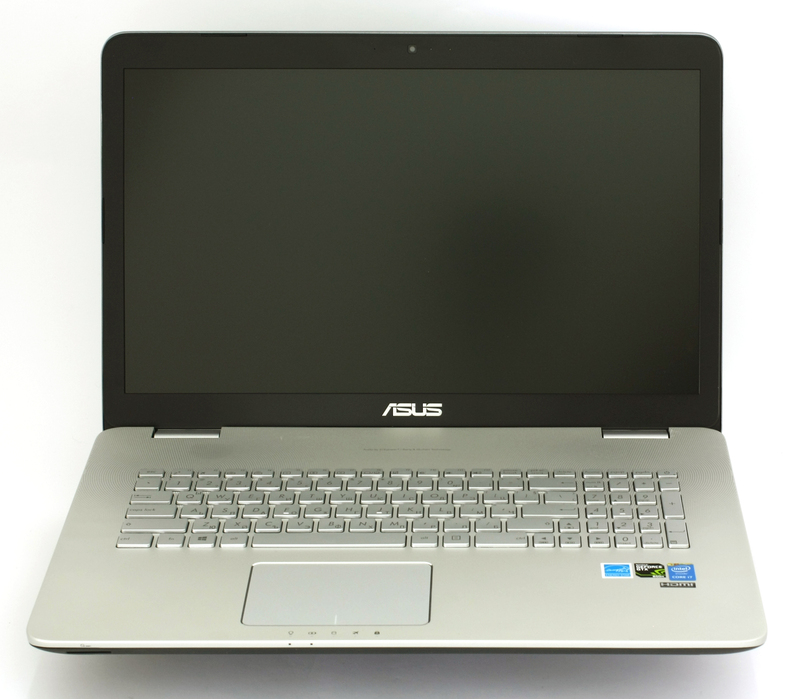 ASUS used the same metal finish we find in most N series laptops, which is clean, minimalistic and always cool. Top corners are occupied by two neat grills for the speakers and right under them is the famous keyboard with LED backlight. Keys appear to be comfortable, a bit rugged to touch maybe, but still offer a good tactile feedback. The first time we tried the keyboard it felt like you should make a little effort to press the keys, but for the time being we got used to it fast and it is really easy to use. It has a wide range of “Fn” keys and it seems that the designers put some thinking when designing them, because those you might use the most are easier to reach, even with one hand. 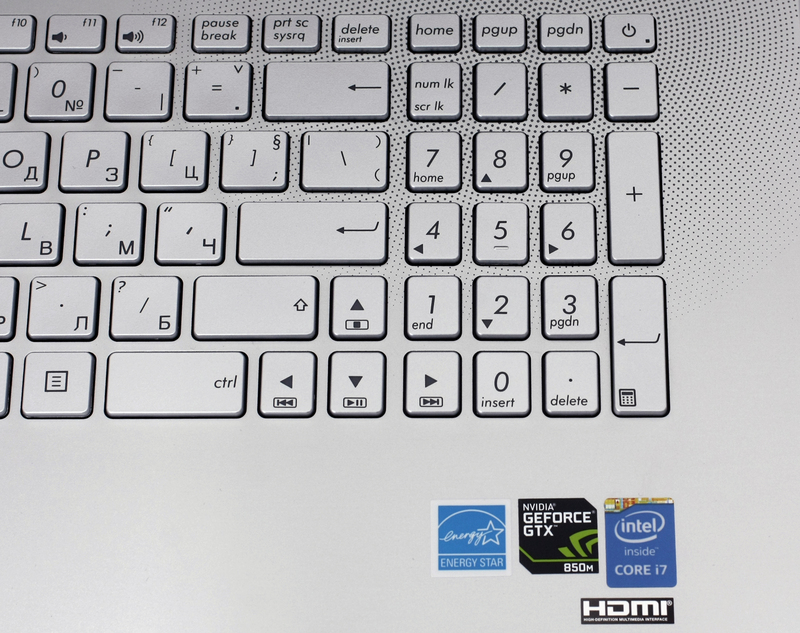 Since it’s a multimedia notebook, keys such as stop, play/pause, back and forward aren’t left out too. The only things that can be improved is the size of the keys – they could have been just a bit larger, there is plenty of space and the “Power on” button. It really blends into the whole keyboard, despite the little LED light indicating its presence, and it can be easily pressed by accident, though this is more of a personal opionion. 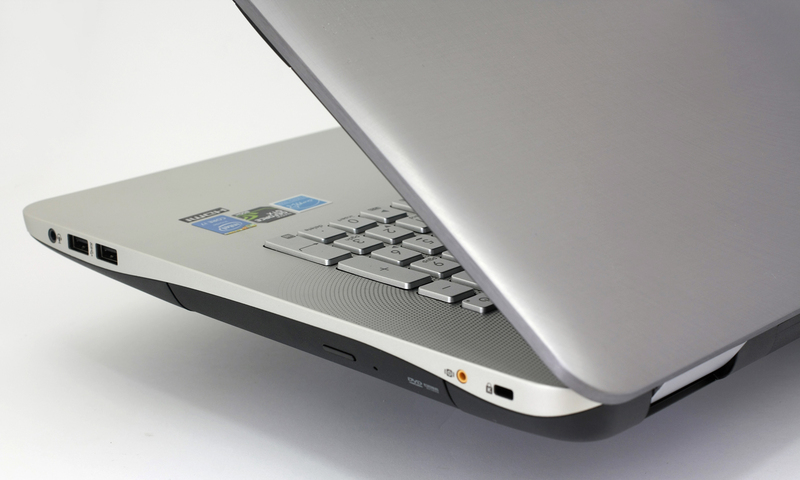 Our conclusion is that N751JK is smartly built, with a sleek aluminium design and overall great keyboard. The touchpad isn’t wobbling, like some notebooks even in the higher-end segment, and it’s easy to use due to it’s good feedback when pressing left or right button. The bottom lid is easily removable for upgrading storage and RAM and so is the battery, so that’s a thing you should keep in mind when investing in an expensive machine. The display of the ASUS N751JK is with WLED backlit LCD TN panel and Full HD (1920×1080) resolution. It is manufactured by AU OPTRONICS with model number B173HW02 V.1. The size is exactly 17.3″ (43.94 cm.) with matte finish and 16:9 screen ratio, which means that the pixel density is aproximately 127 PPI with space between pixels of 0.199 x 0.199 mm. According to the manufacturer this panel can get up to 300 cd/m2 brightness and 400:1 contrast. As for the color reproduction, the panel uses 6-bit channel and viewing angles of 70/70/60/60 (left/right/up/down). Here is the panel under microscope on white background. Under 45 degrees viewing angle, we see the typical poor color reproduction due to the TN panel used in ASUS N751JK. We measured the maximum brightness of the screen – 323 cd/m2 and only 11% deviation at different points of the panel. This means that you can use this notebook even in really bright areas. Color temperature before calibration is 6860K – a bit cold, but still close to optimal. Although, we found a significant deviation on the top left corner. N751JK’s display has 95% color reproduction from the sRGB gamut, 68% from NTSC and 73% from Adobe RGB. On the image below you can see that you might miss some red colors from the Web based gamut. The gama we measured has acceptable deviation. Details appear a bit brighter with brightness set to 50% and 100%. We calibrated the display in order to reach 6500K (D65) color temperature. With these settings we managed to reach 640:1 contrast, which is a bit higher than a standart TN panel. Average deviation (deltaE-1976) after calibration is 8.62 or in other words – we couldn’t reach accurate color reproduction. With the second calibration color reproduction appears to be normal. Results with color samples can be seen below. ASUS N751JK is using WLED backlight, but we didn’t record any PWM (Pulse-width modulation) throughout all brightness levels, so we believe that it will have no negative effect on human vision. ASUS N751JK features one of the best budget Full HD displays – it has high contrast for a TN panel and it doesn’t have negative effect on your eyes. It is suitable for gaming (due to low response time) and work which is not related to video or photo editing. If you like watching movies now and then, it is important to keep in mind that the panel doesn’t offer good viewing angles and you might struggle to take a comfortable position or adjusting the lid. However, you can buy the same laptop with a IPS panel if you don’t like making sacrifices in the display department. You can also use this laptop for a desktop PC, which will save you space and money from the electric bill, since the power consumption is noticably better than a normal desktop one. But to do that, we recommend using an external display. The sound quality is pretty decent for a laptop. When we connect the external subwoofer (the purple line), lowest point of -6 dB reaches almost 100Hz. However, if we ignore the upswing of 3 kHz – 7 kHz we registered at high pitch, the range of 120 Hz to 20 kHz frequency when listening to +/- 6 dB will offer ideal conditions for listening to music, without missing any sound at lower frequencies. 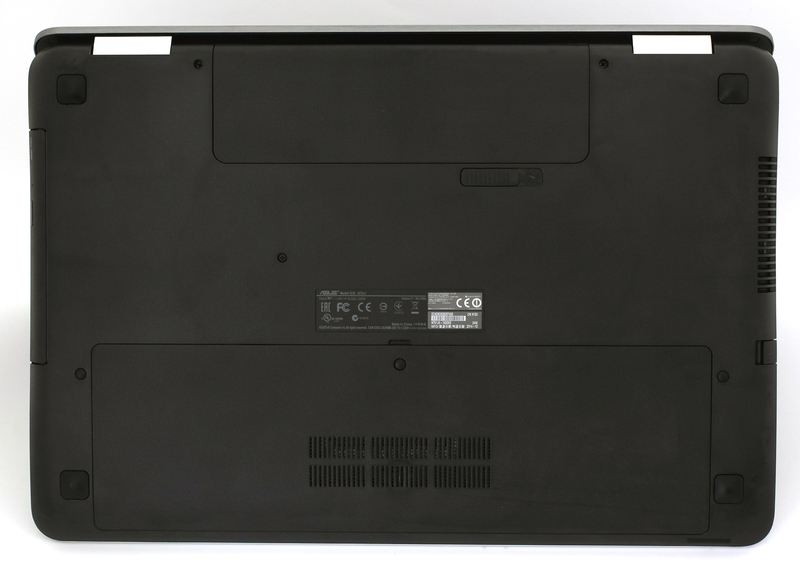 For a 17-inch notebook we can expect relatively larger battery, which in this case is 6-cell 56 Wh and that coresponds to 5200 mAh capacity. Let’s keep in mind that we have 5200 mAh battery, that should give enough juice for a 17-inch Full HD display, high voltage processor and quite powerful GPU, so we can expect a so-so battery life. To give you straight facts on this subject we tested the battery for web browsing, watching a movie and gaming. All three tests are conducted on same conditions – Wi-Fi turned on, Bluetooth turned off, power saver switched on and screen brightness set to 120 cd/m2. ASUS N751JK managed to make it through 301 minutes of non-stop browsing. This result wasn’t as satisfying – just 225 minutes. The most demanding test seems to be oddly high, but that’s a good thing – 125 minutes. In order to check how N751JK handles great stress and high temperatures we used series of software to load the CPU’s four cores at 100% and at the same time measure the temperatures of the cores and see if there is any throttling. 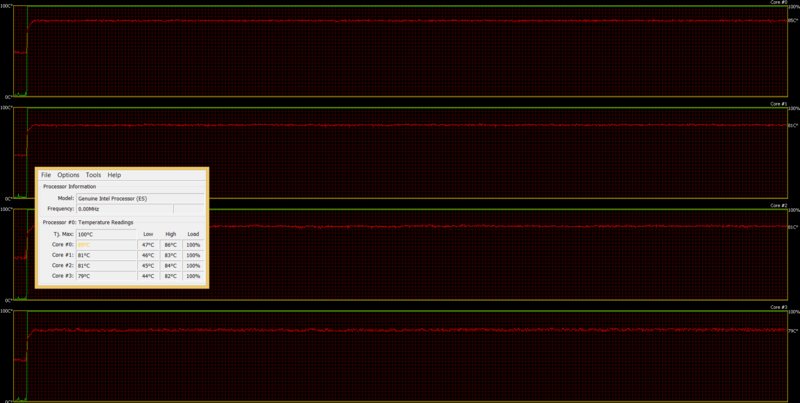 So, we’ve put on the stress test at 100% CPU load for around 45 minutes. The normal operating temperature seems to be around 44-47 degrees Celsius and reaching as much as 84-86 degrees which is far from the maximum operating temperatures listed by the manufacturer (100 degrees). However, we’ve noticed that the CPU reached 3.5GHz maximum frequency but after a while it dropped down to around 2.3GHz. You can see the graphics below indicating 100% load (the green line) and around 85 degrees (red line). After 45 minutes, we’ve put on the graphics stress test. Normal temperatures were around 60 degrees and reaching a maximum of 74 degrees which is fine by our opinion. Temperatures of the CPU didn’t rise, due to the long distance between CPU and GPU, which aren’t sharing heat. Also, the long heat pipes seem to be doing the job just fine. One thing though, CPU’s frequency continued to decline reaching just 1.8-2.0GHz, which is what we consider throttling. Below you can see two pictures showing the internal components of the ASUS N751JK. It has long heat pipes, well-placed CPU and GPU, but there seems to be missing a lower grill for dispersing the heat with an additional cooling pad. This is a major downside, but as you can see the machine manages the heat very well without any external cooling. You can also see how the heat affects the customer when working. There are a few hot points, but the area where the palms rest remained cool throughout the whole test. The N751JK offers great possibilities for upgrading storage and RAM. Under the small cover can be found two SATA III slots for storage devices and they are placed on each side of the chassis. Right between them is one 8GB RAM chip and another empty slot. Under the RAM slot is the m.2 SATA PCI-E x4 one. You can upgrade with an 80 mm or 60 mm NGFF, but there is one issue, though. ASUS has soldered only one carving suitable for 80 mm chip, so if you need to upgrade with a 60 mm one, your local technician can do that for you. You can find that same carving in older or newer motherboards for desktop and notebook PCs. The keyboard is also great, especially the LED backlight, which goes off when not using the touchpad or the keyboard for a while. 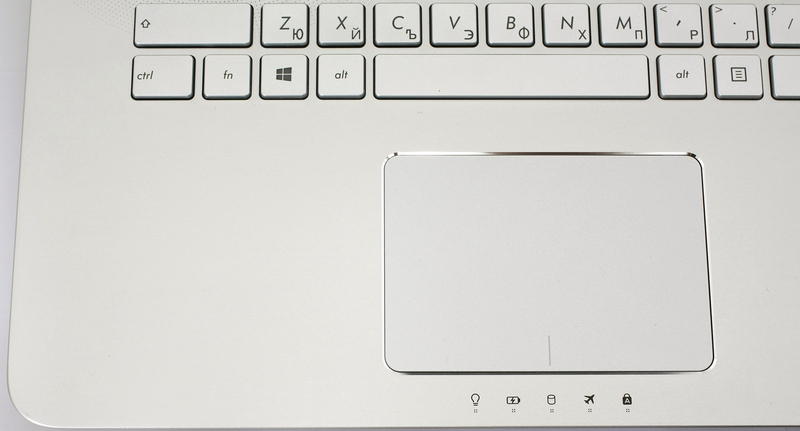 The keys offer a good tactile feedback and the touchpad is easy to use. The sound is also one of the good selling points of this machine, especially with the external subwoofer. 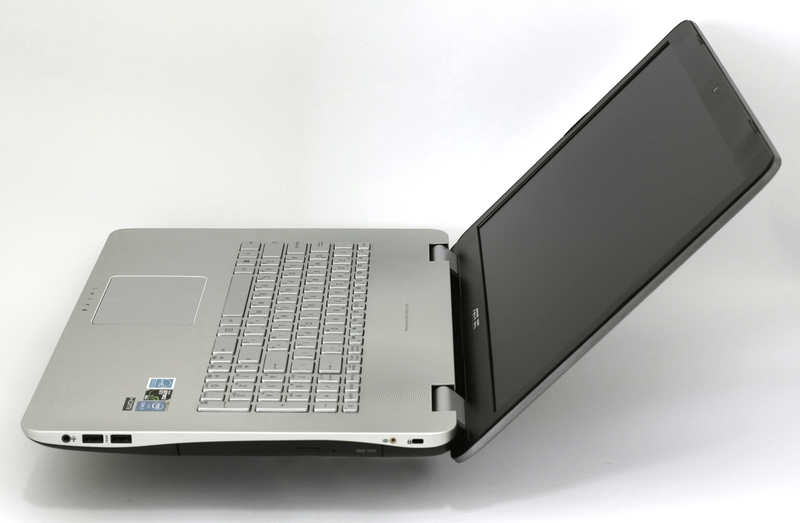 However, for a multimedia laptop we expected better screen quality. The panel used in this model is TN LCD, which lacks any good viewing angles, but it does offer above average contrast ratio (640:1) in this class. Also, there was no PWM of the WLED backlight, which won’t be harmful to your vision. 1. you mentioned Nvidia GTX 950M at least twice, but the specs say 850 M.
Since Nvidia announced the new 900 series line up, will they make it to this N series too or are we stuck with either 850M and 860M for the JM model? 2. Specs say 4 USB 3.0 ports, but your review said two USB 2.0 ports on one side. Hi, thank you for this great review! You have gathered a lot of useful information. I am going to buy this model and since it supports PCI-E x4 i think of installing the Samsung XP941. Do you know if booting from this disk is possible? Because I see that there are a lot of reviews mentioning that only a few motherboards support booting from it. Thanks for the review. 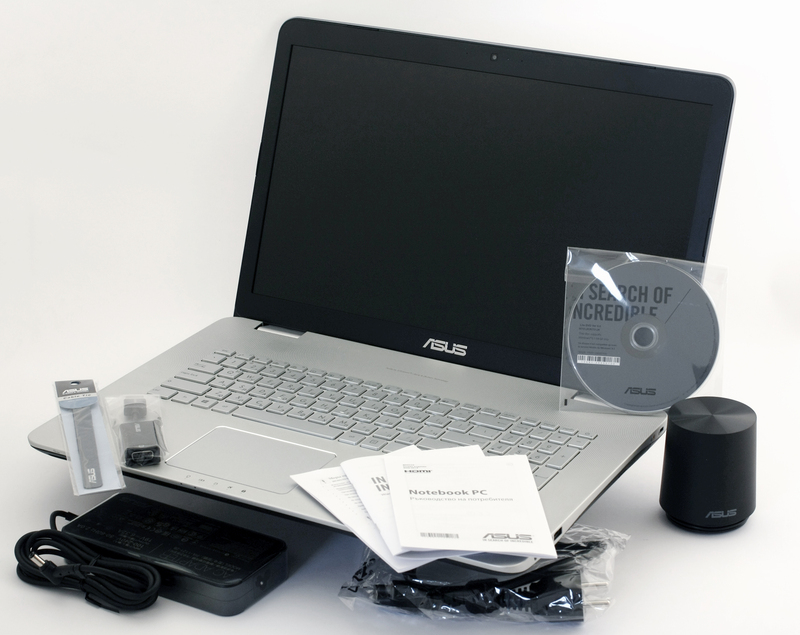 I’m interested in Asus N551, which is quite similar. I wonder if you know how is the backlight done on N551 (IPS screen) – whether it uses PWM or is smooth as in the case of the reviewd N751. Could not find this information anywhere. Thank you. You information is interesting because I found N551 in a showroom right now and did not see any flickering. I don’t have any device to measure it, just use a pen or finger waving in front of the screen. From your review it looks that the LEDs don’t switch off entirely but oscilate between two power states. Could be that I could not see this kind of flickering. Great review Rossen, thanks. I bought this for my wife a couple of days ago and it seems like a great bit of kit. Just one question – the one I bought has 16GB of RAM; can I upgrade to 32GB? Many thanks – I will take a look ‘under the bonnet’ to see what is possible. Im not the most tech savvy…can the graphics card be upgraded…OR…what would be recommended to get better game graphics out of the machine. Thank you for all of your test. Do you think this one with an IPS screen or a n551jk would be good for photediting and some 3D ? Display quality is very important for me. Thank you ! It will surely be better than the TN variant, but there’s a lot more than it meets the eye. An IPS panel is definitely the better choice, but I cannot guarantee that the screen won’t have PWM, accurate color reproduction, high contrast and etc. May i ask something, as i cannot find it at manual. What SSD fits at M.2 slot? Key B,M,or B+M? is this a known problem with Asus? Can the m.2 ssd slot runs a m.2 ssd SATA stick? Or strictly for the m.2 ssd pcie version? Thanks. I need just a new mainboard for asus n751jx, please tell me where can I order?